NYU Classes is the official learning management system (LMS) of New York University. Built from an open source platform called Sakai, NYU Classes allows professors to communicate with, post content, and collect assignments and assessments from registered students. It is integrated with Albert and runs on a suite of tools, including Gradebook, Attendance, Tests + Quizzes, and more. You can also request Classes shells for project and other non-course use. Access NYU Classes through NYU Home. 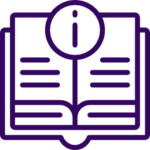 Visit NYU Classes to learn more; visit the Enhancements roadmap to learn about new and upcoming tool pilots.